Bokeh (and there are quite a few spellings) is the out of focus part of an image; it can either add, or detract, from the overall effect. This function can also be used to blur particular areas of a photograph to render it more 'private' (as in faces or number plates). Perhaps that, given the time of year and the parties, you can upload photos to social networks, having blurred the faces of people in 'compromising' situations. You start by either taking a photograph with your iOS device, using one from your library, or pasting an image. With a finger close the area of the image that you want to keep in focus. Use the slider controls to define the level of 'blur'. it off to show the Bokeh output. This allows you to access help and support. The App is a very reasnable $1. Like many Apps, it is not indispensable but, a useful addition to your armoury. The App works as expected; definitely a good thing. There are no issues... perhaps just remember to blur the right part. 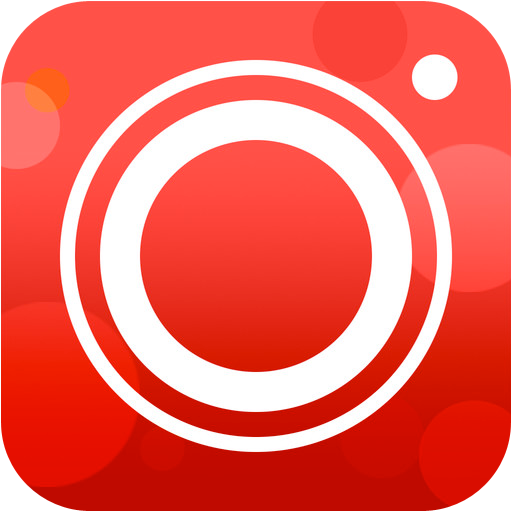 You can get Bokeh Lens here and support for the App here. If you want to prepare a document which includes detailed formatting, and perhaps includes photographs, take a look at this App. This is very much a modern, gesture-orientated App. You can start with a, nearly, blank document (Shakespeare quote) and take it from there. 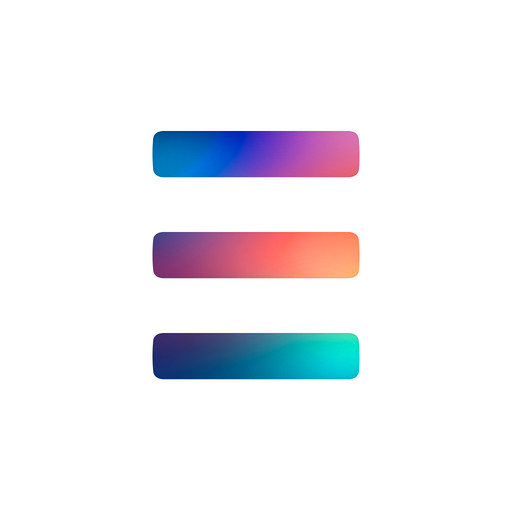 Just enter your text and give it all the text attributes you want, just like a full-fledged word processor... but so easily. It even includes the oft missing A+/A- controls to step text size until it fits. This enables one step resizing, not only for an image but also for text. At the same time you get access to paragraph formatting icons. This selects the text and brings up the context menu. This selects a text block; there is no longer the need to double tap on a word and then expand the selection. This automatically aligns the text to the side swiped to. This enables you to move a block of text vertically, or horizontally. This again does exactly what you would expect with either an image or text. The App is absolutely free; there is the possibility of an In-App purchase for $4 to the Pro version. This adds Dropbox support, creation of PDF and HTML documents for sending by e-mail, as well as sharing documents over wi-fi. If for no other reason than the lack of formatting provided in the iOS e-mail App, Tap & Edit is a requirement for anyone who wants to have control over document layout. There were no problems in testing. There are no security issues, except the remote, potential, risk of letting the App access your Dropbox account (Pro version only). Simple, yet comprhensive document editing. 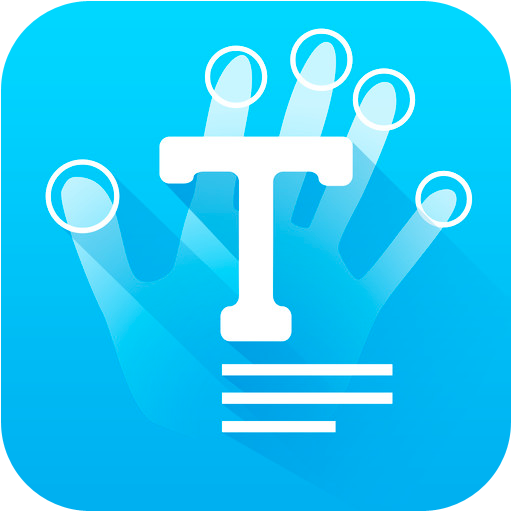 You can get Tap & Edit here and support for the App here. It's that time of year when little children 'help' in the kitchen making cookies... especially cutting them out into festive shapes. 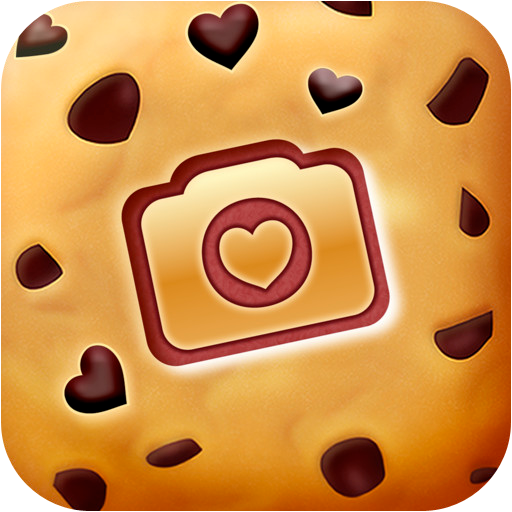 This App enables you to personalise and share photos... nothing to do with cutting out cookies really. You can start off with choosing the photo layout from 3:2; 4:3, or 1:1. Now either take a photograph, or pick one from your albums. ...but even better is the ability to scale and rotate the picture, simply by using two fingers. Once you are happy with the result hit the toaster icon (you can't miss it). You can now add text, as well as cookie shapes. Your done with baking... just send the final product in a large variety of ways. It is a very easy way to annotate and share photos. I couldn't get the layers to work, so that any shape was always 'in front' of the photograph, although there is an option to choose the order of layers. Your masterpiece can be shared via Facebook, Twitter, Instagram, Flickr, Tumblr, as well as e-mailing and others. This is the usual double-edged sword. You can get FotoCookie here and support for the App here. This is a hotel which, in some ways, has something for everyone. There are a number of swimming pools which cater for those needing ‘entertainment’ (or providing it, of course), to those who just want to sit quietly, or those caring for smaller children who are more interested in a paddling pool. The beach is vast, with soft sand; there have been comments made about the lack of availability of sun loungers, this was never a problem during our stay. The accommodation is more than one can reasonably expect in this price bracket. We had a two bedroom and sitting room apartment which was kept very clean by the staff. The landscaped gardens are meticulously maintained by a large staff of gardeners, and certainly add to the feeling of comfort. There are four restaurants, which again offer something for everyone, although the lack of choice makes a long stay a tad repetitive. This is pretty much as you would expect, with both local and standard dishes. These are frequently replenished and kept tidy by staff. This restaurant (for dinner) has a choice of four starters, four main courses, and two deserts (although they tend to be served as two half portions on one plate). This restaurant serves grills (not much of a surprise, given the name) and other dishes at lunchtime. It metamorphoses into a cosy place for an evening meal by the beach, complete with musical entertainment (sometimes excellent). The real limiting factor is that there are only 3 menus, with no variations. Not our favourite place but, it is another option. This restaurant is only open in the evening and serves basically the same menu, with a choice of meat or fish, in either Mediterranean or Oriental (perhaps better described as eastern Mediterranean) slants. As a generality, the cocktails are perfectly drinkable, although you will have to queue at one of the many bars. The staff are very polite and will all smile back to a greeting of ‘olà’ (hi). There has been mention (in other reviews), of mediocre standards of hygiene. In our experience, this is absolutely not the case; quite the contrary. Staff preparing food all wear hats and latex gloves however, the conduct of some customers might be the cause of any germs; sneezing and coughing over displayed food, let alone tasting different dishes with the same utensil… (this only applies to the self-service restaurant). • When checking in, request cards for beach towels; this will avoid you having to go back to reception later. As the distances between beach and main building are fairly large, this will save you quite a few footsteps. • Book for evening meals in the restaurants as soon as possible. This will give you a larger choice of times and can always be changed later. The booking procedure starts at 10:30 each day. Avoid the queue and don’t go to reserve until 11:00. • If you prefer a ‘quieter’ option than the main Spices restaurant for breakfast, this exists. We won’t detail it here, so as not to get too many people interested; just ask the staff and they will point you in the right direction. • Join the Melia rewards program before you leave home. This will give you access to free late checkout and free Wi-Fi Internet access in some public areas (the one in reception is the most reliable). • Checking-in can be a bit of an unpleasant experience; as it is the first contact guests have with the hotel, it should be as painless as possible. A form needs to be completed for check-in, which could be done on-line before arrival (completing it on the journey from the airport is not really viable). • There is a tourist tax which is collected on arrival, in cash. It would be simpler to do the same as most hotels and take a credit/debit/charge card authorisation and add it to the bill. • The 2 bedroom apartments have blackout curtains in the double room but not in the two bedded room. If this arrangement were swapped, it might give parents a quieter night. • Next time the cutlery and/or crockery are changed, get someone to try the two together; the cutlery falls into the plates far too easily (not to say often). The lack of a truly international ratings system for hotels will continue to provide surprises for travellers. The best way to enjoy this hotel is to manage your expectations... the five star rating (and the explanation that it is a Cape Verdean 5*) is perhaps not what you would expect. Hopefully you will book through a tour operator (who may also claim a 5* Status) but, you will be paying a 3* price; this should set your expectations, and should ensure that you are delighted with your choice; it will represent excellent value for money. As a matter of fact, rather than opinion, 24 hour room service is usually (in Europe at least) a prerequisite for a 5* rating. The Melia Tortuga (despite contrary information on its website) offers no room service; it was explained to us that this was "not yet available". On the other hand, if you are used to the European expectation of a five star hotel having an all-knowing, all-fixing concierge then, the Thomson Rep, Elias will not disappoint you. He absolutely goes the extra mile... literally, even organising a weekly walk. The acid test of satisfaction is ‘would you go back?’. The answer is “Yes”. Fancy yourself as a DJ? This App might make your dreams come true... or at least give you a helping hand. To get started, just press the + and add some songs to your set. As anyone knows, that's the (relatively) easy part; the challenge is to order them in an appropriate way. This is exactly where the App comes in handy. You can then reorder your playlist with ease. The BPM (Beats Per Minute) of individual tracks are clearly listed, so this well help in getting things gradually wound up. There is a visual beat indicator but, a pinch of salt may be needed to go with it. The basic App is free, and there are then in-App purchases for more options. The App undoubtedly helps in ordering music. You can share your playlist via Facebook or Twitter. Although there would seem to be no real risk in this (unless perhaps giving away your awesome set), there could be more serious issue. Have you actually purchased the tracks? A good start to your DJ career. You can get Splyce here and support for the App here. 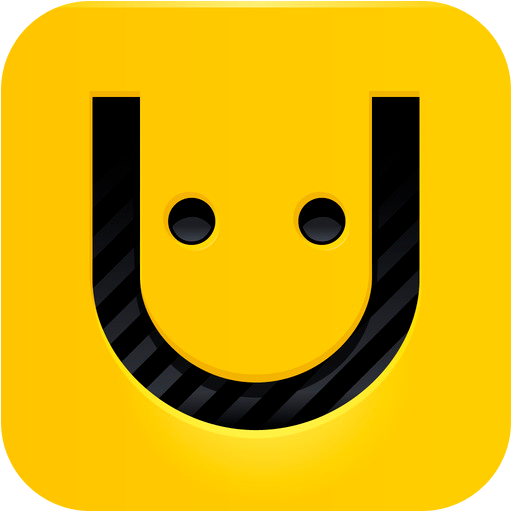 Uface stands for 'Unique Face Maker'. This App allows you to make your own character, or someone else's, of course. There is a logical process to follow which will make you into a real artist (OK, maybe not but it will enable you to create your character). Eyes, eyebrows, nose, lips, ears and basic chin shape (this is a combined item), hair, spectacles (or even an eye patch), moustache or beard, speech bubble (and various additions), a hand (could be holding a steering wheel, eating a donut...), and finally a general background. Each of these items can be coloured as you want, as can the general background (paper colour). The App is 100% free. It's a bit of fun, and an easy way to create an avatar. There are no guarantees that the finished product will look anything like you but, the App works flawlessly. You can update saved images directly to Facebook or Twitter, should you so desire. Images can also be assigned to contacts... don't upset anyone! 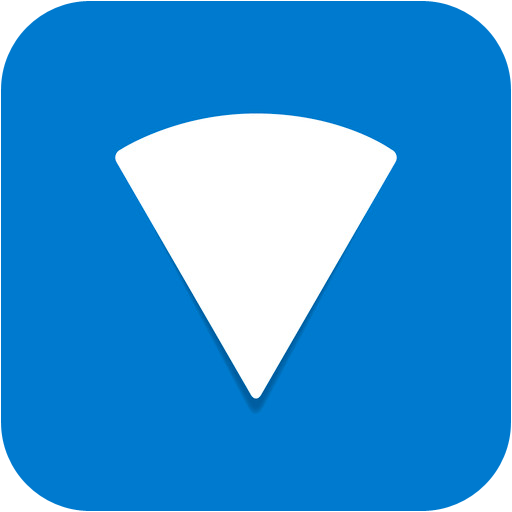 You can get Uface here and support for the App here. And there was me thinking that Viz no longer existed. My apologies to the publishers, the magazine is still alive and as irreverent as ever (that's a good thing). 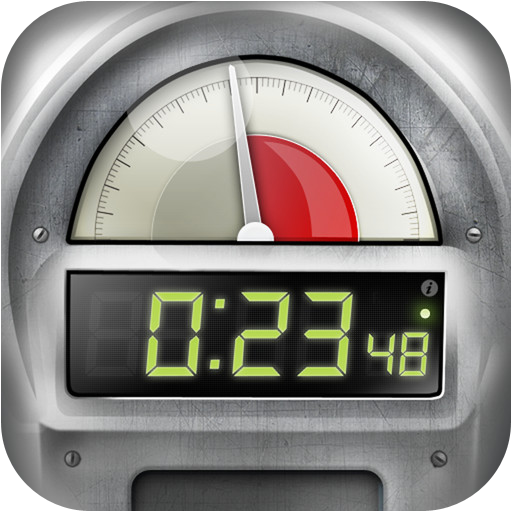 In fact, this App has nothing at all to do with the eponymous magazine, it is 'the quickest way to create simple charts'. Starting a new chart is simply a case of entering 2 labels and 2 quantities... and then adding as many more as required. Now choose the type of chart from bar, pie, cloud (very appropriate nowadays), (sky)scrapers, or parliament. Simply press 'Create Chart' and then further customise the colours (basic, forest, sky, ocean, fire) from a palette of sympathetic hues. Once that is done you can save your chart on your iOS device, as well as send by email, or share through Twitter, Facebook, or Instagram. This is a really easy way to create a chart. It is not a substitute for a sophisticated charting program, nor does it claim to be. The App works, exactly as it should. As ever, beware what information you share on social networking sites. Charting for the rest of us. You can get Viz here and support for the App here. Remembering when your parking meter time will run out is perfectly straightforward... we all know that, which is why we never get a ticket. Welcome to the real world. The truth is that we are usually too lazy to set an alarm (or does that only apply to yours truly). Perhaps that's being slightly uncharitable but, even setting an iOS alarm takes a few presses on your screen. This App could well come to your rescue. Some Apps are basic and do a job, some Apps are graphically brilliant and fail to deliver real solutions. Parking Meter manages to do both (graphically brilliant and does the job). It really is as simple as picking a time interval (5, 10, 15, 30, 45 minutes, or 1, 2, 3, 4, 8 hours) either with one press, or by entering a specific period. It's all well and good remembering that you parked your nondescript grey vehicle between the pink Porsche and the red Ferrari... the building in the background won't move. This enables you to set the GPS position of your vehicle. There are various settings that can be customised, such as when to sound an alarm, the tone used. It's probably worth thinking how much this App can potentially save you and at $1, it will pay for itself. I guess that if you only use public transport, you don't need it... and then there's the rest of us. If you don't allow the App access to your current location when first using it, you will not be (directly) warned again. You can however go to settings and rectify the situation. he App needs to access your location services if you wish to make full use of it. If you're a traffic warden, don't recommend this App! You can get Parking Meter here and support for the App here.